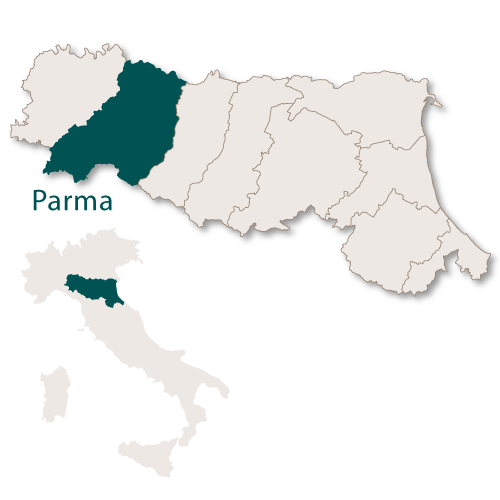 The Province of Parma covers an area of 3,449 sq.km. 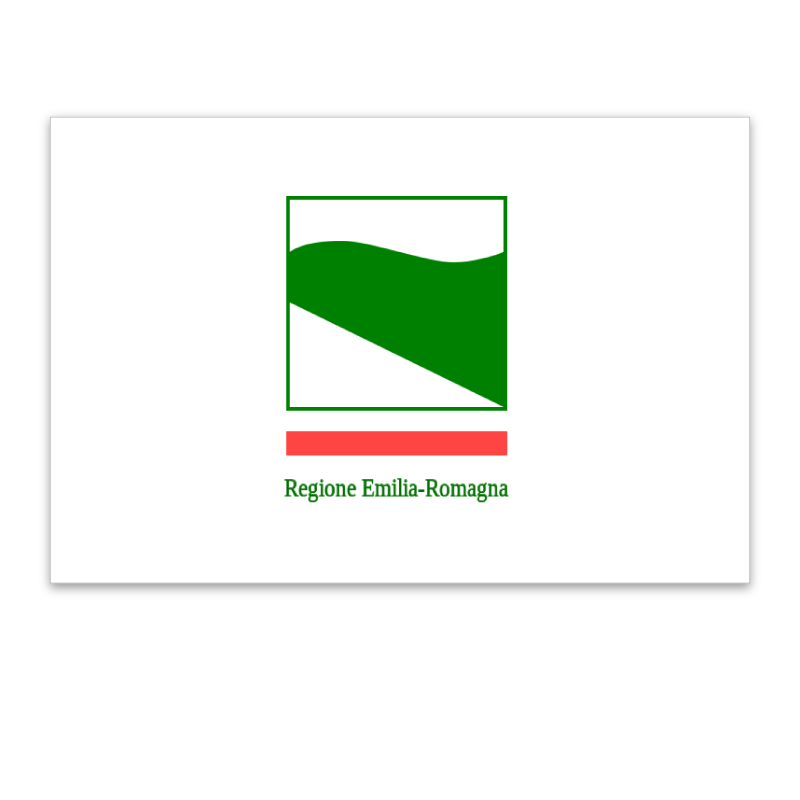 and borders the province of Reggio Emilia to the east, the province of Piacenza to the west, the region of Lombardy to the north and the region of Liguria to the south west. 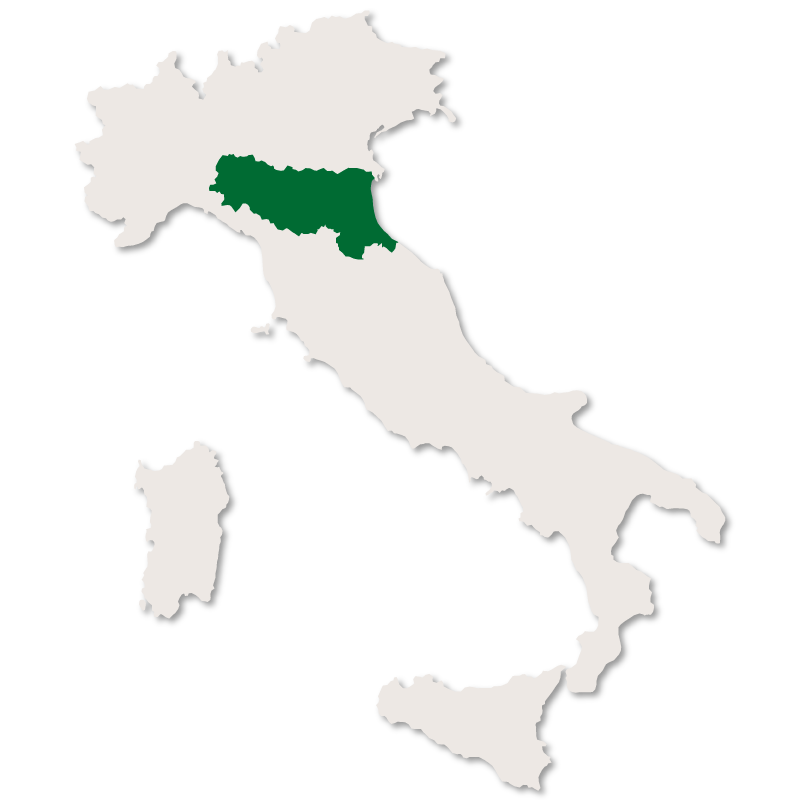 In the north it borders the Po river so is largely flat with expansive plains, the central part is hilly which in turn leads to the Apennine mountains in the south. The whole province is dotted with picturesque villages, castles, churches and ancient buildings. 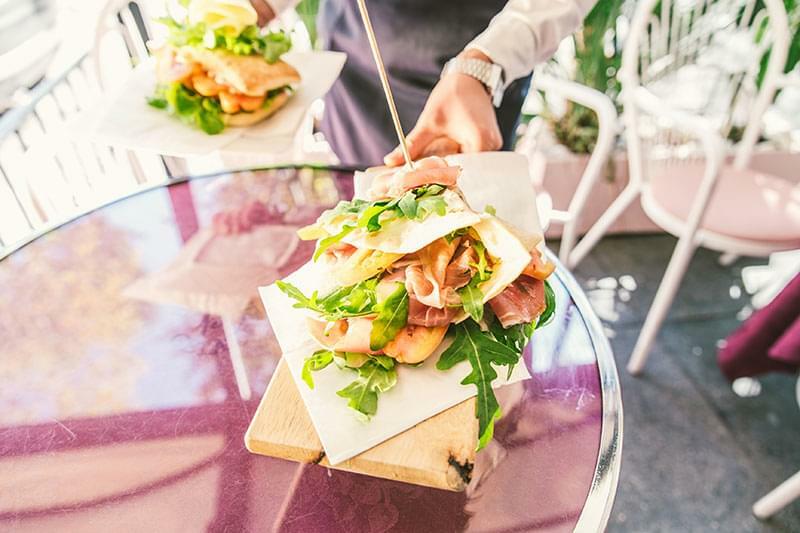 This province is best known for its food, in particular Parma Ham and Parmesan Cheese. The two large Italian food companies Barilla and Parmalat are both based here. 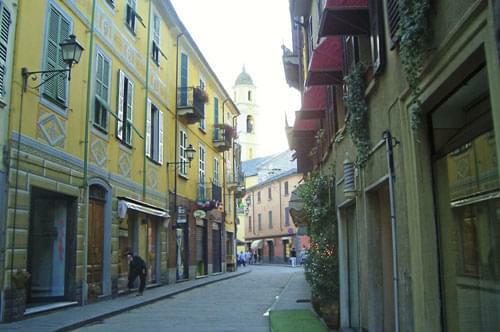 Parma is the capital city of the province of Parma in the region of Emilia Romagna. The city is divided into two halves by a river, the Torrente Parma, and is most famous for its production of Prosciutto di Parma (known as Parma ham in the UK) and Parmesan cheese. It also has stunning architecture, is surrounded by beautiful countryside and has a wonderful history of music. It is home to the University of Parma which was founded in the year 1117 making it one of the oldest universities in the world. Parma is full of beautiful buildings of all types and ages and more than one day would be needed to visit them all. 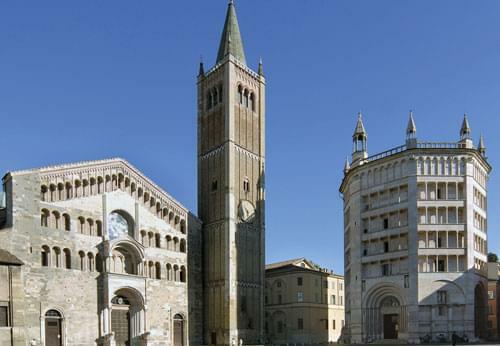 The construction of Parma Cathedral began in 1059, it was consecrated in 1106 and it is an important example of the Romanesque style. The main feature of the interior is the fresco of the Assumption of the Virgin which was painted by Antonio da Correggio on the ceiling of the dome between 1526 and 1530. Adjacent to the cathedral stand the Baptistery of Parma which is considered to be one of the most important Medieval monuments in Europe. San Giovanni Evangelista is a church and part of a complex which includes a Benedictine convent. It was originally constructed in the 10th century but was rebuilt in 1498 after the whole complex was damaged by fire. The bell tower is 75 meters high making it the tallest in Parma. The Sanctuary of Santa Maria della Steccatais a Renaissance church built in the Greek-cross design. The building started in 1521 and the church was finally consecrated in 1539. In the crypt there are tombs containing 26 members of the Farnese family and a crystal urn in which there is the heart of Charles III, Duke of Parma. The church of San Paolo was built in the 11th centur and was a former Benedictine Convent. The church of San Francesco del Prato is a 13th century Gothic church which was used as a jail from the Napoleonic era until 1990s. 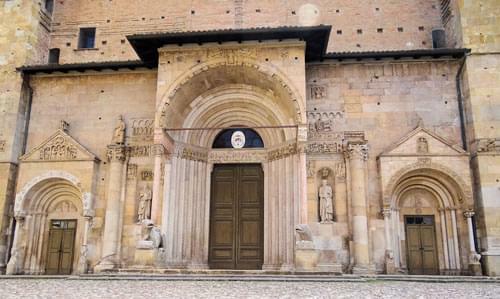 Other churches of interest are the Romanesque, 12th century Santa Croce. San Sepolcro (1275), Santa Maria del Quartiere built on a strange hexagonal plan and San Rocco. The Ducal Palace was built in 1561 for Duke Ottavio Farnese on the area of the former Sforza castle. It was later enlarged in the 17th century and again in the 18th century. It is annexed to the Ducal Park which was turned into a French-style garden in 1749. Other interesting palaces are the Palazzo del Comune (1627), the 13th century Palazzo del Governatore, the Bishop's Palace (1055) and Ospedale Vecchio which is now houses the State archives and is the Communal Library. The Cittadella is a large fortress erected in the 16th century close to the old walls. The Pons Lapidis is a Roman structure in stone dating back to the reign of Augustus. The Orto Botanico di Parma is a botanical garden which is maintained by the University of Parma. The Teatro Regio, built in the early 19th century has a Neo-Classical façade and is the city's opera house. 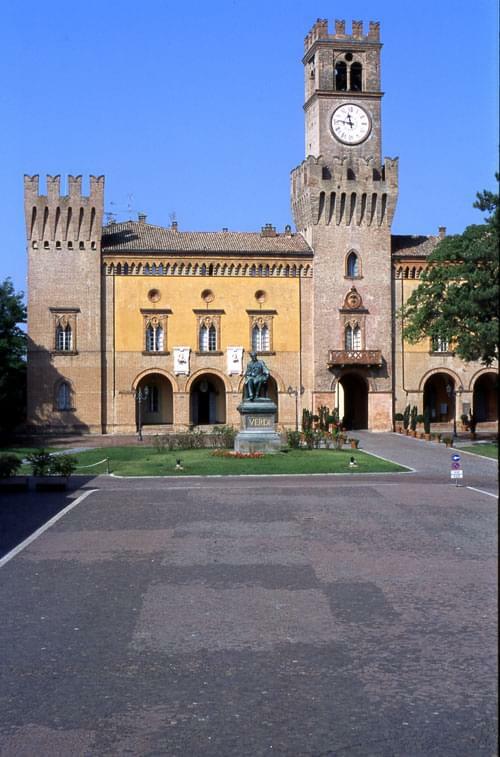 The most prominent and famous building in Fidenza is the 12th century Cathedral which is an excellent example of the Lombard-Romanesque churches of northern Italy. It has a simple, well proportioned interior which has not been altered or ruined by the many restorations. The statue of the apostle Simon Peter at the front of the cathedral is pointing in the direction of Rome with his right hand and holding an inscripition in his left hand saying 'I show you the way to Rome'. This statue is considered to be one of the first road signs. The medieval Palazzo Comunale was first mentioned in 1191 but the current structure was is a 14th century restoration. A new façade was added in the 19th century after the building was being destroyed by Spanish and French troops. The Porta San Donnino is the only surviving gate in the remains of the medieval town near the cathedral. The town of Bedonia is only a few kilometres from the border of the region of Liguria and the influence of this can be seen by the typical coloured buildings of that area. Inside the Basilica of San Marco which was built in 1846 is a Planetarium and a Museum of Natural History as well as a Art Gallery and a huge National Library. The Baroque church of Sant'Antonino is an interesting piece of architecure. The Sanctuary of the Madonna di S. Marco built in 1939 contains a wooden statue of the Madonna with child which was created in 1531. 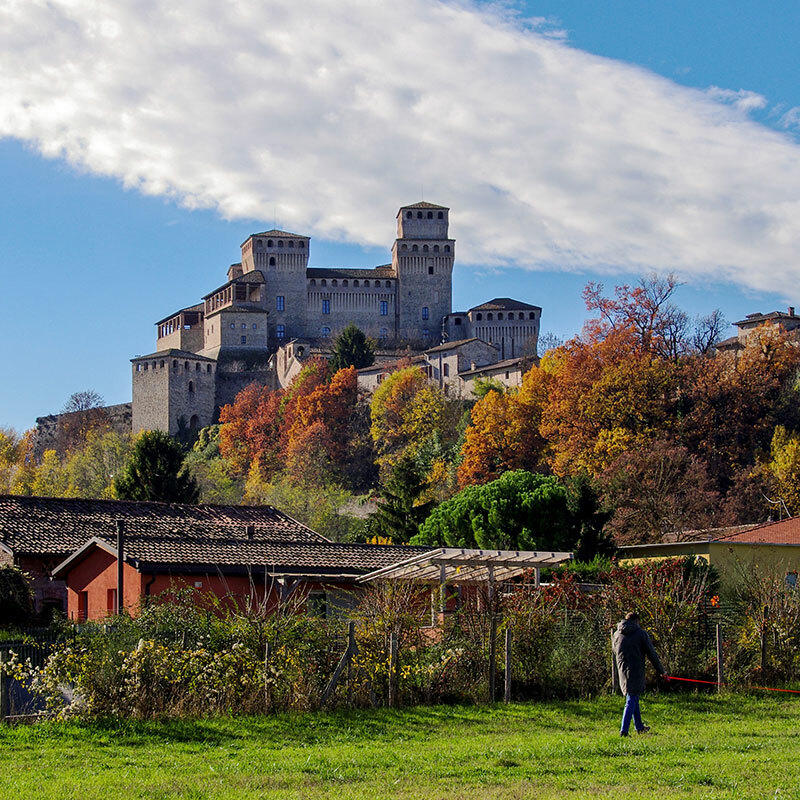 This small town is completely dominated by the monumental Landi Castle which is built on a shaft of red jasper rock. The castle was built in the 9th century and in the 16th century it was turned into a luxurious mansion by Federico Landi. Today it houses the Museum of the Valley Civilization and the Museum of Wildlife and Poaching. The church of San Giovanni Battista built in the 16th century and is now the parish church. The Oratory of Santa Maria delle Grazie which was built in the 13th century and extensively restored in 1621. The Country church of San Siro and the 20th century Memorial Chapel of the Arandora Star. A statue of Verdi in the town centre. The house where Verdi was born in nearby Le Roncole. The 'Rocco' which is an 11th century fortress which still has the original keep and main tower. Casa Barezzi which is located in the main square and is the house where a young Verdi gave his first performance in 1830. A portrait of him and several of his letters are on display. Palazzo Orlandi is the house which Verdi bought in 1845. The churches of Santa Maria degli Angeli and San Michele Arcangelo. The main point of interest in Colorno si the Ducal Palace which was built in the 18th century for the Farnese family. The Aranciaia was erected in 1710 by duke Francesco Farnese as a place of shelter for the all the orange and lemon trees used to decorate the Ducal Palace. It was designed by Ferdinando Galli Bibiena. This is a very popular Spa town with strongly saline water.